If geek culture had a class president, Cory Doctorow would be frontrunner for the position. He writes for BoingBoing, uses Ubuntu, played a hero in XKCD, published several rebellious young-adult sci-fi novels (under CC licenses, no less), and has worked on two continents fighting for the rights of internet users. He’s spent the better part of the last couple decades encouraging content-producers to embrace the new models of distribution made possible by the internet and fought them tooth and nail when they seek to hold it back. His outspokenness doesn’t come from a single statement like “information wants to be free.” Doctorow argues in a recent essay called Lockdown that enforcing Copyright law in the digital era is about more than protecting the rights of intellectual property holders; it has rather become a kind of trojan horse for the surveillance industrial complex and threatens to severely curtail the individual autonomy of the world’s citizens. Computers are infusing everything, he explains. They increasingly extend our embodiment and cognition and can thus be enabling and liberating. Computing’s inherent flexibility therefore offers a form of freedom; commercial or governmental interests that seek to control computing for their own needs or simply out of a fear of the new way must be resisted in order to protect that freedom. The hacker resistance is a central theme in Doctorow’s fiction. Little Brother and its upcoming sequel, Homeland, focus on teenagers in a near-future world who, as savvy tech users, confront the increasingly intrusive surveillance of a paranoid government. For the Win explores what the world of online gaming can offer to the understanding of resistance movement recruiting and organization. He also recently collaborated with Charles Stross on a book called The Rapture of the Nerds, comically and satirically exploring the idea of the technological singularity. 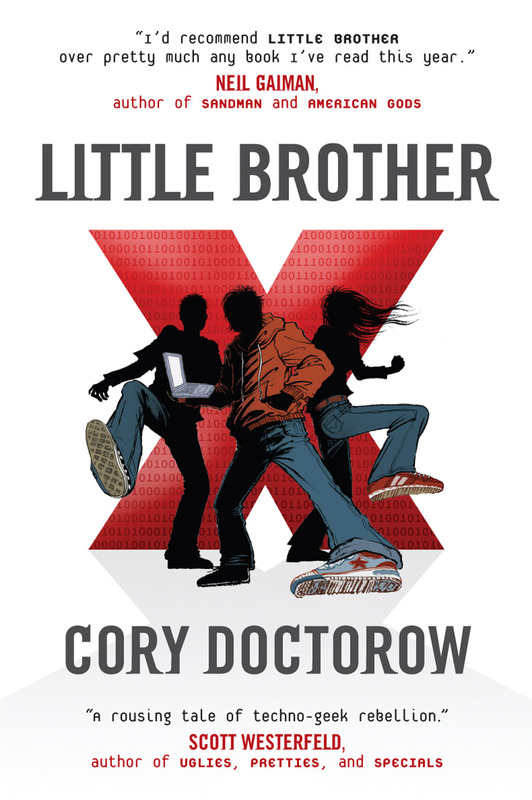 Cory Doctorow lucidly and pragmatically voices geek culture’s highest hopes and biggest fears. In a recent column in The Guardian or this interview with Technology and Activism, for instance, he describes both the need to organize against those who would curtail digital rights and the increasing ease with which it can be done through web technology. His work supports the need for a critical and activist approach to technological development, symbolically and creatively through his fiction, but also substantively and measurably through his scholarship, his journalism, and his work with the Electronic Frontier Foundation. Cory Doctorow describes the threats our technological rights will face – and how we can protect them – on July 31st at the Novellus Theater. You can reserve tickets, get directions, and sign up for the podcast on the Seminar page.